Go Gold Country over the second weekend of September. Enjoy fab cinema and a hangout, have-fun scene from Thursday, Sept. 8 through Sunday, Sept. 11. SEPT. 8 THROUGH 11, 2016... and the schedule'll include documentaries, international works, and a nifty Kaleidoscope VR Showcase, which offers "the best in virtual reality film, art, and immersive experiences." That's at the Miners Foundry, but keep the Nevada Theatre in mind, which is the spot for the "Little Miss Sunshine" 10th anniversary event (complete with filmmakers Valerie Faris and Jonathan Dayton in the house and Q&A-ing). Eager to stroll this cinematic destination while reveling in cinema of all sorts, from classics to the future of VR? 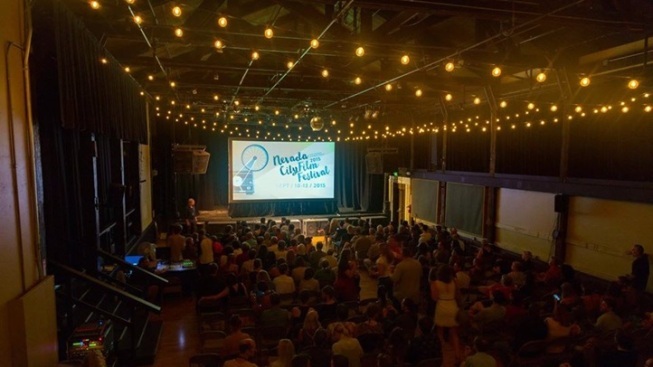 Early bird passes are on sale through the first day of September, cinephiles/Nevada City aficionados.